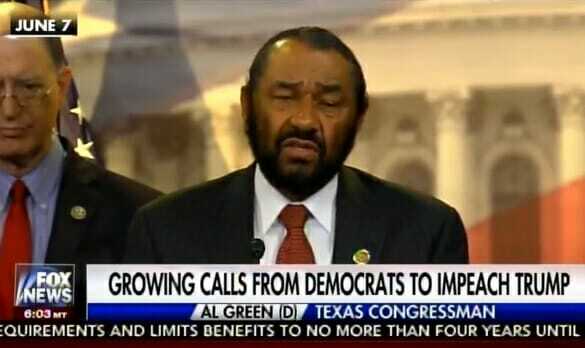 Texas Democrat Rep. Al Green announced on Wednesday he would draw up articles of impeachment against President Donald Trump. Fired FBI Director released a statement on Wednesday before his testimony on Thursday. President Trump said Comey’s statemeny completely vindicated him with his pre-hearing statement. Rep. Al Green says he will move to impeach President Trump. Rep. Brad Sherman joined Green in his call to impeach Trump.